Wrangaton Golf Club believe the Get Into Golf scheme is a brilliant idea that encourages anyone to start learning the game of golf. Learn the fundamentals of the game under the watchful eye of our professional team through a number of scheduled sessions leading into the ability to convert into a club member with our Pathway to Golf membership. There isn’t a better way to sample the game & catch the golfing bug. 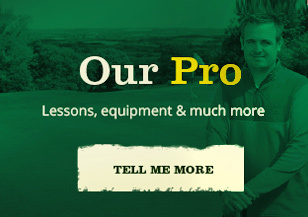 Why not learn the game of golf alongside others who are also just starting out at an amazing affordable price. Don’t miss out on this amazing opportunity to learn the game of golf and it will also qualify you to take advantage of the Pathway to Golf membership scheme. No ‘golf jargon’ or over complicated instructions, just relaxed, fun guidance that will help you learn and grow to ‘love’ the game of golf! Call our friendly Pro shop to book your spot or any further information. All sessions will take place at Wrangaton Golf Club either using the practice facilities or out on the golf course itself.